Greetings from Tulsa! My crew and I are still enjoying all the city has to offer while experiencing some pleasant weather. We made our way to the Cherry Street area of Tulsa and drove passed plenty of great looking restaurants but had our heart set on trying Lucky's. 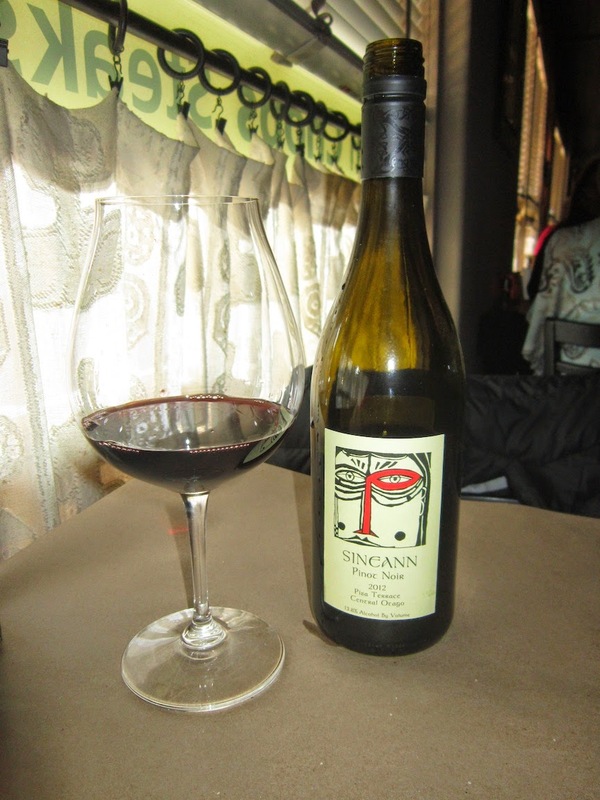 If the wine menu was any indication of a great meal we were in "luck" the Sincann Pinot Noir from New Zealand was splendid. 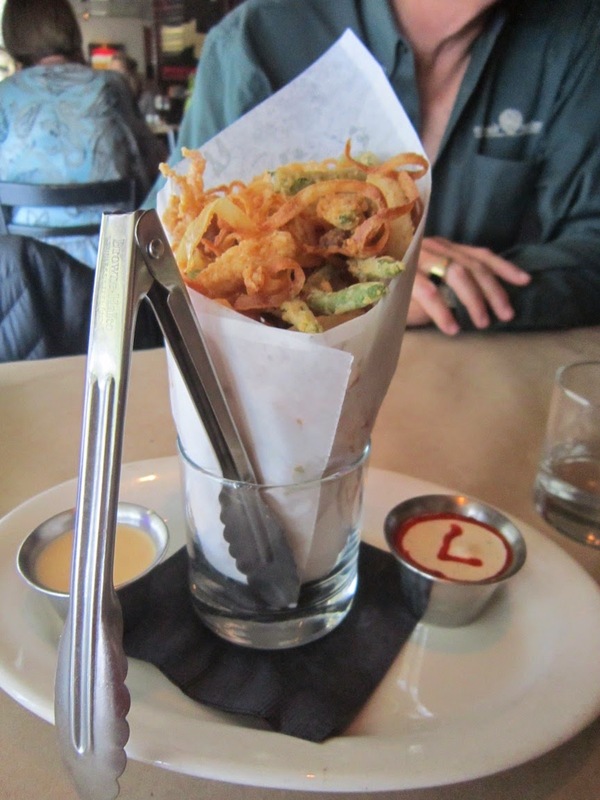 Our Cherry Street Fry was exactly what we were craving... Hello calamari, onions and green beans! The light crispy batter knocked it out of the park! I especially liked how they got creative with the "L" in the Lucky Dipping Sauce. My order of the Crispy Sea Bass was beyond, beyond amazing. The generous serving of the rustic pesto cream sauce made its way into every bite of fish and lentils with white truffle oil. I enjoyed the carrots as they were cooked through, rather than a crunchy al dente. 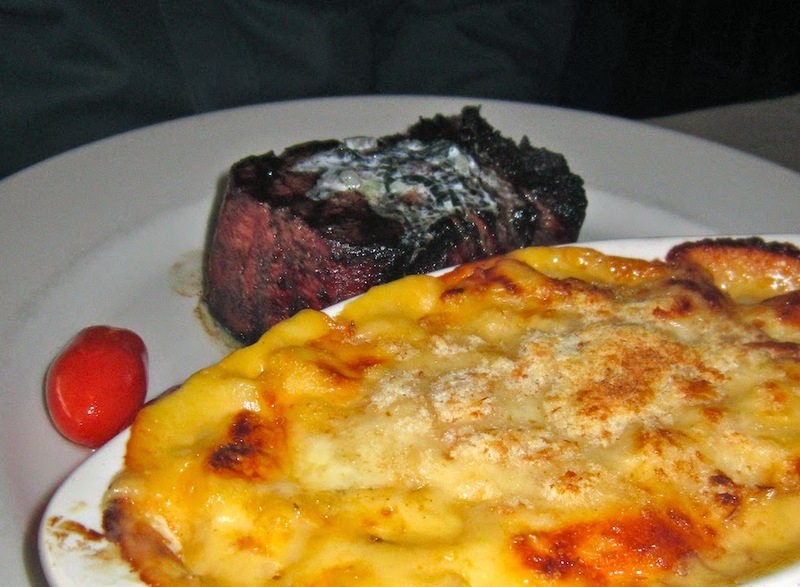 Cowboy Ron was seated across the table from me and his Macaroni and Cheese seemed to take over the filet in this photo. He went on and on about the pasta and I am sure the beef was fine. 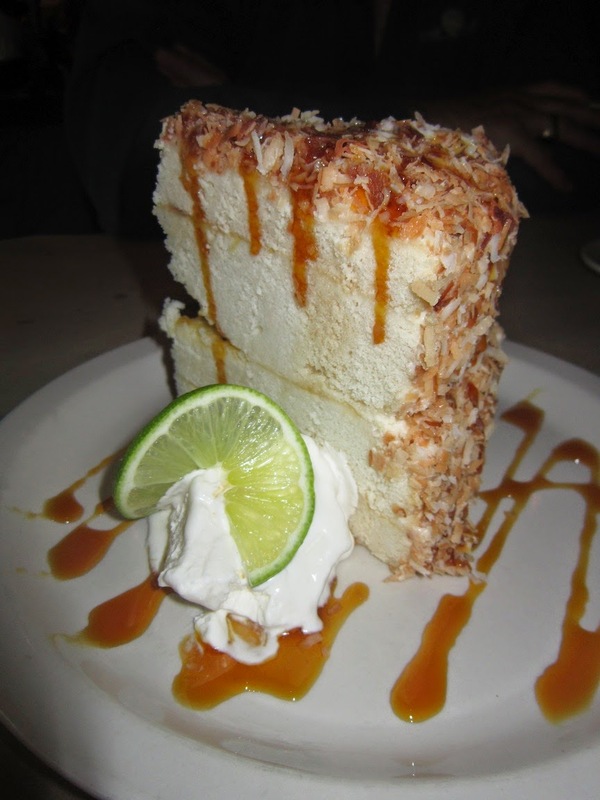 The three of us all shared the massive serving of the Coconut Cake. It had a key lime curd filling and carmel drizzle. It was huge! We all did our part in trying to take it down. We finally succeeded after bites of painfully filling our stomachs. Dessert shouldn't be work, be warned it is a big serving! All in all, I enjoyed our meal at Lucky's. I am beyond impressed with the restaurant scene in Tulsa. We are not finished with the town yet, stay tuned for more good eats Oklahoma style!